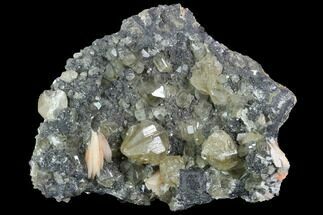 This specimen is covered in small, faint-yellow, transparent cerussite crystals, formed from a galena rich matrix. 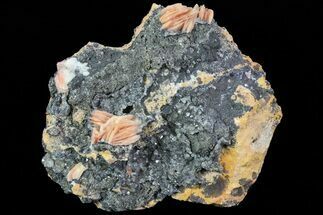 Orange clusters of bladed barite can also be found along the edges of this beautiful mineral association. 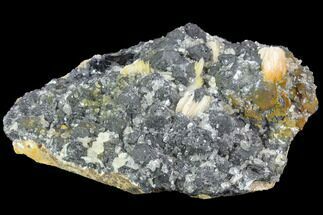 Cerussite is a carbonate mineral with the chemical formula PbCO3, and is an important ore of lead. 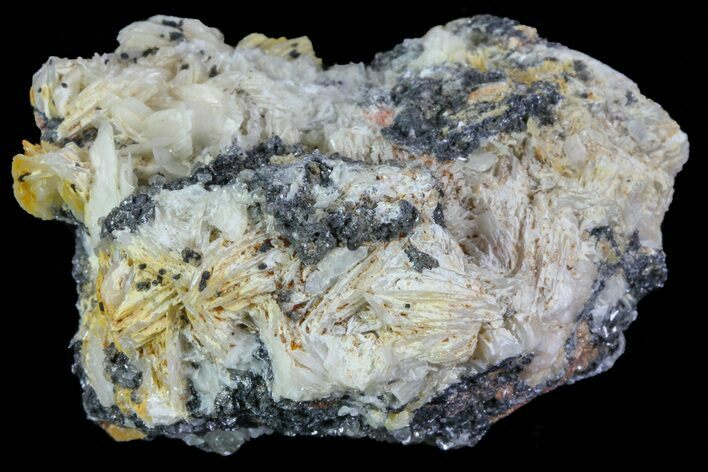 This lead-carbonate consisting mineral is a common weathering product of galena, explaining why it is typically extracted from oxidized zones of lead ore deposits. 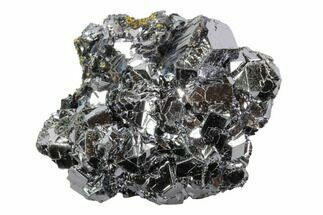 It can form into a variety of different structures, sometimes in fibrous patterns, other times in granular aggregations, though generally forming vitreous pseudo-hexagonal crystals. 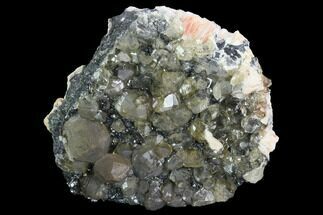 The colors of this mineral vary depending on composition and structure, with colorless, white, grey and green tinted, being the most common colors of crystals found.